The new Leaf is selling better than expected. TOKYO -- Nissan Europe's electric vehicle boss says the second-generation Leaf is selling much better than expected. After less than two months of availability, 3,500 Leafs have been sold in Europe. 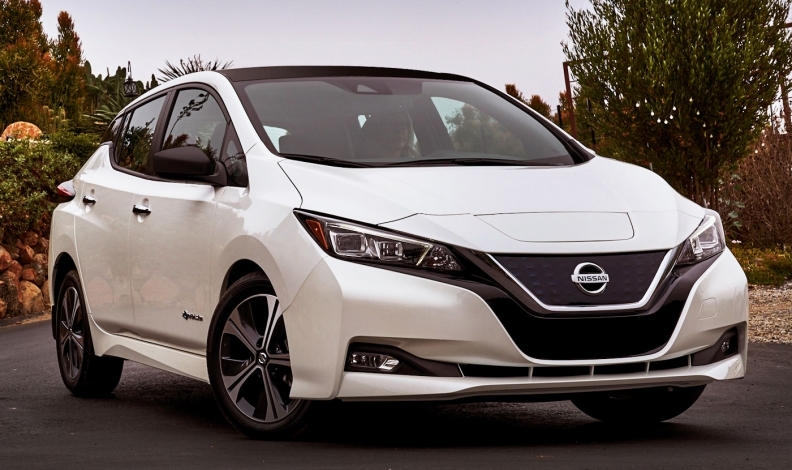 By comparison, it took Nissan a year to achieve the same total when it launched the first-generation Leaf in the region seven years ago, Nissan Europe EV Director Gareth Dunsmore told Automotive News Europe at the auto show here. Norway was the first European market to get the Leaf, starting in early September. “They have been our first customers and our most loyal customers and we wanted to give something back to the people who trusted us from Day One back in 2010 and 2011,” Dunsmore said, adding that more than 2,000 existing and new customers in Norway already have purchased the Leaf. Nissan picked up another wave of sales after the market launch of the Leaf in Germany, Austria, France and Holland on Oct. 2. The launch edition of the new Leaf, which is called the 2.ZERO and includes Nissan's ProPilot semi-autonomous driving technology, starts at 31,950 euros in Germany. Less expensive versions will follow, Dunsmore said. Globally, Nissan has received more than 9,000 orders for the new Leaf, which is also on sale in Japan. The new model has a range of 378 km (235 miles), up from about 200 km for the Leaf that debuted in 2010. The Leaf's worldwide sales volume is well ahead of Nissan's expectations, the company's senior vice president and head of Japan operations, Asako Hoshino, told reporters at the Tokyo show on Wednesday.